After Israel had arrived at Horeb, Moses ascended the mountain. God commanded Moses to ask the people on His behalf if they wished to remain in the covenant and be obedient to Him (Exod 19:8). Moses relayed the message, and the people responded at once: “All that the Lord hath spoken we will do” (Exod 19:8). Thus, we truly have a covenant transaction here: God proposed the covenant and added a promise, upon which the people accepted it. This raises the following question: Is the covenant made at Horeb the covenant of grace itself, or is it a national, external, and typical covenant, having as its only promise the inheritance of Canaan—and is thus the point at which the Old Testament commences? (1) It is the covenant of grace itself. This transaction is but a solemn renewal of that covenant of which all believers since Adam have been partakers. God renewed this covenant with Abraham and his seed, confirming it with the sacrament of circumcision. (2) The sound of the term national covenant is such, that it sometimes causes confusion for those who are not well-informed. It is, however, the covenant of grace which had previously been established with believers, but since the time of Abraham had been restricted to the posterity of Abraham. Only in that respect, and in none other, may it be referred to as a national covenant. The word “national” is not to be found in the Bible. (3) An external covenant, consisting in temporal promises contingent upon external obedience, had never been established. There can be no such covenant between God and man. We have dealt with this extensively in volume one (chapter 16, pp. 457-463). (4) The covenant of grace is a typical covenant, and therefore can be referred to as such, since it was administered by types which pointed to Christ. The administration of the covenant is therefore occasionally denominated as the covenant (Gen 17:3; Jer 31:31). 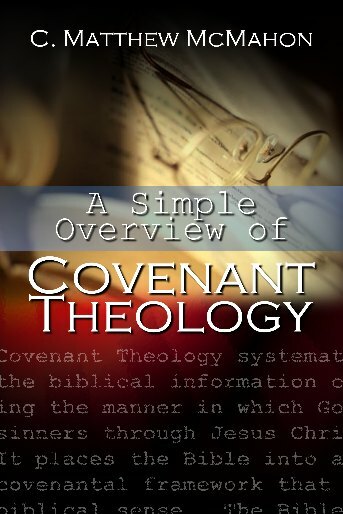 In designating this covenant as a typical covenant, one is not to imply that it did not have an inherent spiritual promise; that is, that the covenant was only typical of spiritual benefits—particularly those of the New Testament. There is not one trace of evidence in God‟s Word that this is so. Such a notion is thus to be rejected as quickly as it is stated. (5) The Old Testament is the very embodiment of the covenant of grace, administered in the old fashion by way of shadows—and nothing other than that. If the Old Testament were other than the covenant of grace, the death of a testator other than Jesus Christ would be necessary, for no testament is confirmed except in the death of the testator (Heb 9:16-17). Furthermore, the Old Testament neither began at Horeb, having been in existence since the time of Adam, nor consisted in the inheritance of Canaan, as we have shown in detail in the previous chapter. We have stated all this by way of general introduction. First, the covenant made at Horeb is not a new covenant, but a renewal of a covenant previously established. This is evident from Exod 19 and from all God‟s dealings with Israel during their stay at Horeb. Nothing is stated there which even resembles the establishment of a new covenant—a covenant which previously had not existed. Rather, the covenant dealt with is consistently the covenant which existed previously. Observe this at the beginning of the chapter: “Now therefore, if ye will obey My voice indeed, and keep My covenant, then ye shall be a peculiar treasure unto Me above all people: for all the earth is Mine: and ye shall be unto Me a kingdom of priests, and an holy nation. These are the words which thou shalt speak unto the children of Israel. And all the people answered together, and said, All that the Lord hath spoken we will do” (Exod 19:5-6,8). Here we have the solemn confirmation of the covenant. God proposes His requirements and makes promises, and all of Israel acquiesces. God neither speaks a word about Canaan nor of anything new. In His proposition He speaks of My covenant as a covenant that already existed and of which Israel knew. It is this covenant to which they simultaneously and solemnly agreed. Thus, the covenant was already in existence. On the basis of and following this proceeded 1) the giving of the law of the ten commandments by God as their God (if this law were a formula of the covenant of grace, it would powerfully confirm the matter) and 2) the institution of an orderly worship, by way of types of Jesus Christ. Therefore, this covenant was not first established at Horeb, but existed prior to it. The transaction there pertained to a covenant that already existed. Prior to this there was, however, no other covenant than the covenant of grace. Thus, the covenant at Horeb is the covenant of grace. Secondly, the covenant established with Abraham, Isaac, and Jacob was the covenant of grace. The covenant at Horeb was, however, the same covenant as was established with Abraham, Isaac, and Jacob. Thus, the covenant established at Horeb is the covenant of grace. (1) It had Christ as its Mediator (Gen 12:2-3; Gal 3:17). (2) It had God as a God who was a shield and a great reward (Gen 15:1; Gen 17:8). (3) By it Abraham was established as the father of all believers (Gen 17:2,4; Rom 4:11). (4) It had to be embraced by faith (Gen 25:6; Gen 17:3; Rom 4:18-20). (5) It had circumcision as a seal of the righteousness of faith (Rom 4:11). That the covenant made at Horeb was the same covenant made with Abraham is first of all evident from the fact that it contained the same promises, had the same rule of life, and had the same manner of worship. (1) It contained the same spiritual and temporal promises. The spiritual promise was that God would be their God, and that they would belong to God. “I am the Lord thy God” (Exod 20:2); “And I will dwell among the children of Israel, and will be their God” (Exod 29:45); “Ye shall be a peculiar treasure unto Me above all people” (Exod 19:6). That this is the essence of the covenant of grace is evident from 2 Cor 6:16: “I will dwell in them, and walk in them; and I will be their God, and they shall be My people.” Furthermore, they were a royal priesthood and a holy nation: “And ye shall be unto Me a kingdom of priests, and an holy nation” (Exod 19:6); “But ye are … a royal priesthood, an holy nation” (1 Pet 2:9). The temporal promises were also the same—as for instance, the promise of Canaan. God gave this land to Abraham. “And I will give unto thee … the land wherein thou art a stranger, all the land of Canaan, for an everlasting possession” (Gen 17:8); “The land whereon thou liest, to thee will I give it” (Gen 28:13). Thus, Canaan belonged to Abraham, Isaac, and Jacob successively, and their descendants inherited it as an inheritance received from their father. The possessions of the parents are for the children. (2) It had the same rule of life—the will of God to love the Lord, and to fear, believe, and trust Him. All this is comprehended in the command: “Walk before Me, and be thou perfect” (Gen 17:1). At Mount Horeb, God gave the identical command to Israel by way of the law of the ten commandments annunciated there. (3) There was the same manner of worship—by way of shadows. Abraham, Isaac, and Jacob made altars of earth, and also offered sacrifices as Cain, Abel, and Noah did before them. They had rm#m (mishmor), twcm (mitsvah), hqx (chakkah), and hrwt (thorah). These are words which are generally expressive of laws—both moral and ceremonial. “Because that Abraham obeyed My voice, and kept My charge, My commandments, My statutes, and My laws” (Gen 26:5). They had circumcision as a sacrament of the covenant. Israel had the same ordinance—the same sacrament. Since everything was identical, Israel had the same covenant which was established with Abraham. 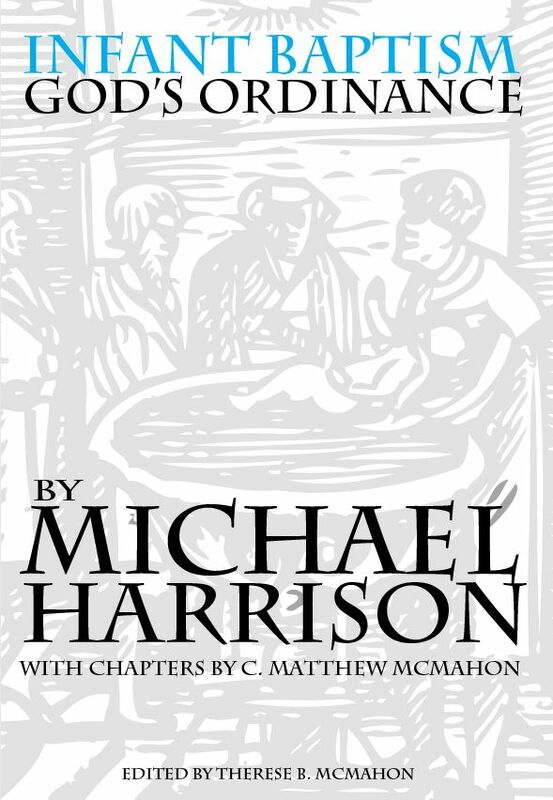 Secondly, it is evident that the covenant established with Israel was identical to the covenant God established with Abraham from the fact that when mention is made of the covenant with Israel, reference is continually made to the covenant with Abraham, the declaration being that they are one and the same. “Thou shalt therefore keep the commandments, and the statutes, and the judgments, which I command thee this day, to do them. Wherefore it shall come to pass, if ye hearken to these judgments, and keep, and do them, that the Lord thy God shall keep unto thee the covenant and the mercy which He sware unto thy fathers” (Deut 7:11-12); “Keep therefore the words of this covenant, and do them. … Ye stand this day all of you before the Lord your God. … That thou shouldest enter into covenant with the Lord thy God, and into His oath, which the Lord thy God maketh with thee this day: that He may establish thee to day for a people unto Himself, and that He may be unto thee a God, as He hath said unto thee, and as He hath sworn unto thy fathers, to Abraham, to Isaac, and to Jacob” Deut 29:9-10,12-13. Thus, the covenant which God established with Israel, along with the promises and the benefits, is the same; it is none other than the covenant God made with Abraham—and is thus the covenant of grace itself. Evasive Argument: In these texts it is indeed stated that God swore to Abraham, Isaac, and Jacob that the covenant He made with Israel at Horeb would be established with their seed; but not that it is the same covenant. Answer (1) This is merely conjecture and its conclusion can be answered with a denial. (2) It expressly contradicts those texts which declare that God has established this covenant with Abraham, Isaac, and Jacob, and that God would confirm that identical covenant with Israel, their seed. (3) It contradicts Gen 17:7 where the Lord enters into covenant with Abraham, and in him with his seed—it being declared to be one and the same covenant. Furthermore, regarding Canaan, it was given to Abraham, Isaac, and Jacob; it was their land. “And I will give unto thee … all the land of Canaan” (Gen 17:8); “The land whereon thou liest, to thee will I give it” (Gen 28:13). Israel received it from their father as an inheritance. Abraham had the property rights, and Israel, by reason of those rights, came into its possession in accordance with the Lord‟s promise made to Abraham that He would do so. Thirdly, not one person who is of Reformed persuasion will deny (no one can deny it!) that the covenant which has Christ as its Surety and Mediator is the covenant of grace. Such is true, however, for the covenant of Horeb, for it does have Christ as its Mediator, which is evident from the fact that it was ratified with blood. “And Moses took the blood, and sprinkled it on the people, and said, Behold the blood of the covenant, which the Lord hath made with you” (Exod 24:8); “Whereupon neither the first testament was dedicated without blood. For when Moses had spoken every precept to all the people according to the law, he took the blood of calves and of goats, with water, and scarlet wool, and hyssop, and sprinkled both the book, and all the people” (Heb 9:18-19). 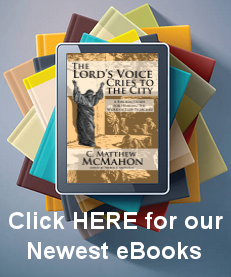 God had given the blood to make atonement for man. “For the life of the flesh is in the blood: and I have given it to you upon the altar to make an atonement for your souls: for it is the blood that maketh an atonement for the soul” (Lev 17:11). The blood of animals was not capable of reconciling man with God. “For it is not possible that the blood of bulls and of goats should take away sins” (Heb 10:4). This efficacy is, however, to be found in the blood of the Lord Jesus: “Whom God hath set forth to be a propitiation through faith in His blood” (Rom 3:25); “In whom we have redemption through His blood” (Eph 1:7). The blood of animals sacrificed in the Old Testament was a type of the blood of Christ—just as the entire law of shadows pointed to future benefits and was not the essence of the matter itself (Heb 10:1). This is particularly to be observed in Heb 9 where the apostle continually compares the blood of bullocks and goats with the blood of the Lord Jesus, that is, the type with the antitype (vss. 12-14,20,25). Speaking of this in verse 23, he says, “It was therefore necessary that the patterns of things in the heavens should be purified with these; but the heavenly things themselves with better sacrifices than these” (Heb 9:23). Therefore, just as Moses sprinkled the book and the people, the blood of Christ is called the blood of sprinkling (Heb 12:24; 1 Pet 1:2). It is thus both certain and obvious that the sprinkling of the book of the covenant and of the people pointed to the sprinkling of the blood of Christ (that is, the appropriation and application thereof), confirming the covenant of grace. Thus, the covenant of Sinai had Christ as its Mediator, and consequently was the covenant of grace. Fourthly, that covenant is the covenant of grace itself which has as its sacraments the sacraments of grace. A seal confirms a covenant—and then only that covenant of which it is a seal. To sever a seal from one covenant and to attach it to another covenant of an entirely different content is the height of infidelity. However, the covenant of Sinai has as its seals the seals of the covenant of grace. It was confirmed by circumcision and the Passover, both of which the children of Israel were commanded to strictly observe upon the threat of excommunication; that is, expulsion from the congregation of God and the covenant. It has been confirmed in the previous chapter that circumcision and the Passover were the seals of the covenant of grace. Both were instituted prior to the covenant at Horeb. The disputants admit that nothing but the covenant of grace existed previously. Both sealed the covenant of grace: Circumcision was the seal of the righteousness of faith Rom 4:11, and the Passover was Christ (1 Cor 5:7). Along with the three previous proofs, this proves that the covenant of Horeb was the covenant of grace.